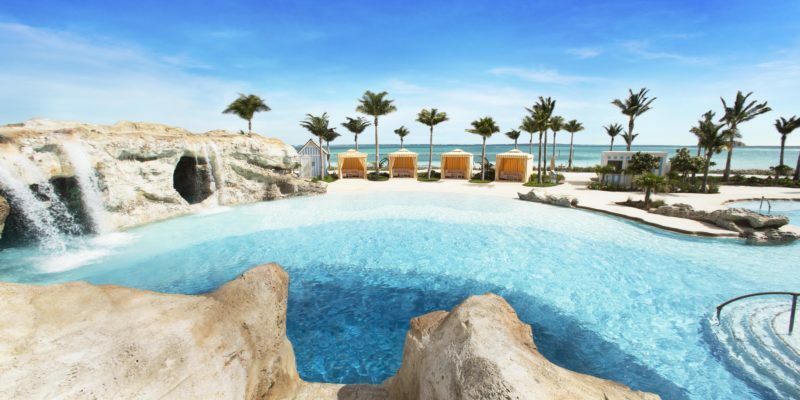 The Grand Hyatt is one of three hotels in the Baha Mar collection. These hotels are the epitome of luxury and the Grand Hyatt offers a relaxed and modern atmosphere. If you are hoping to create an unforgettable oceanfront wedding, then this is the venue for you. The event spaces on offer are stunning, from a glass-walled chapel to tropical gardens, white sand-beaches and elegant ballrooms. There are eight indoor venues and seven outdoor venues, accommodating between 20 and 2000 guests. If you choose to plan your wedding here, a host of expert planning staff awaits, ready to take on every detail. For more information on the legalities of getting married in The Caribbean, click here.